Description: The Putnam Museum is hosting another sensory-friendly film experience! 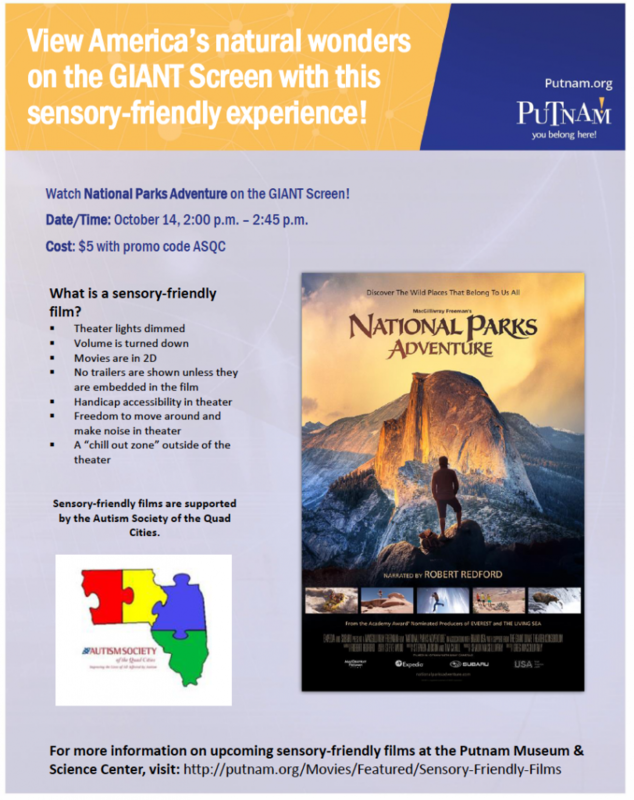 “National Parks Adventure” will premiere in its sensory-friendly version on the Putnam GIANT Screen Theater on Sunday, October 14 at 2:00 p.m. The film will be modified to be “friendlier” to the senses. Changes to the environment and film experience include: theater lights dimmed but not turned off, volume turned down, all movies in 2D and few to no trailers before the film. The GIANT Screen Theater is fully accessible.